Using cranberries for the fruit, and a ground almond batter, made a tart & light dessert, which we topped with Orange Creme, a couple of pieces of Candied Orange Peel, and put a few pieces of segmented oranges alongside. Once the guests have gone through appetizers, salads, and a main buffet, I really like to give them a dessert that refreshes their taste buds, and isn’t overly huge, or heavy. This little gratin is a perfect ending for either a fancy dinner, or as a weekend treat for family & friends. Lightly grease the baking pan. 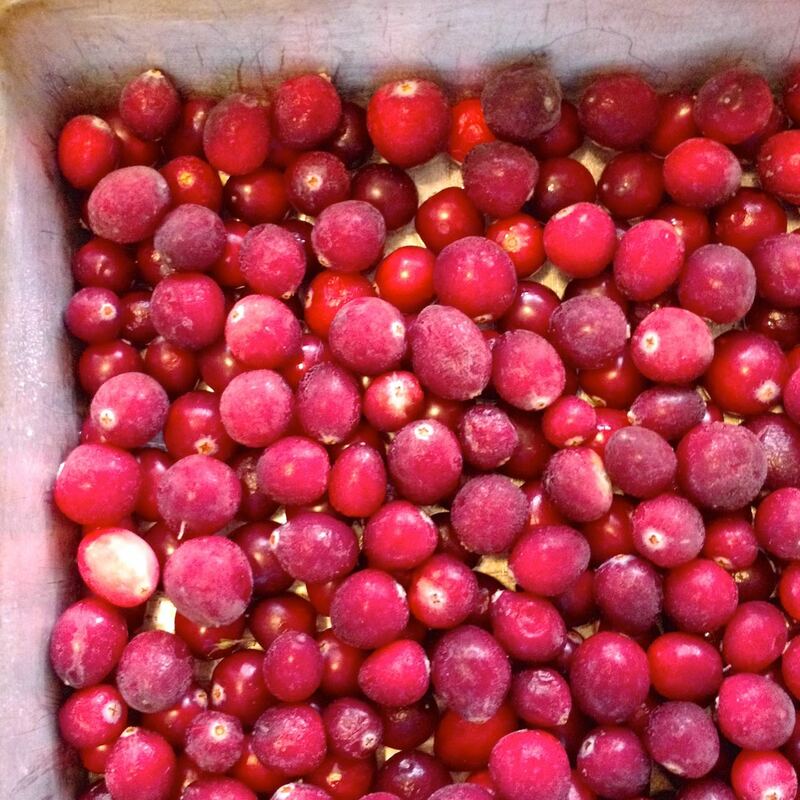 Put the cranberries into a level layer in the pan (they don’t need to be thawed if frozen). 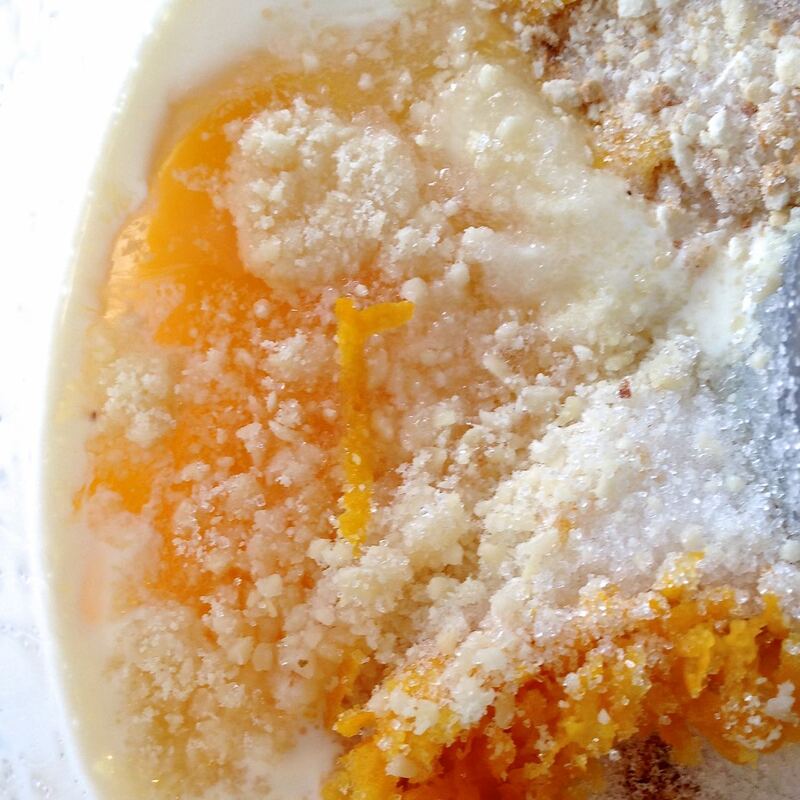 Into the bowl of a processor put the cream, eggs, ground almonds, breadcrumbs, sugar, orange zest, and the almond & vanilla extracts. Process until it forms a batter. 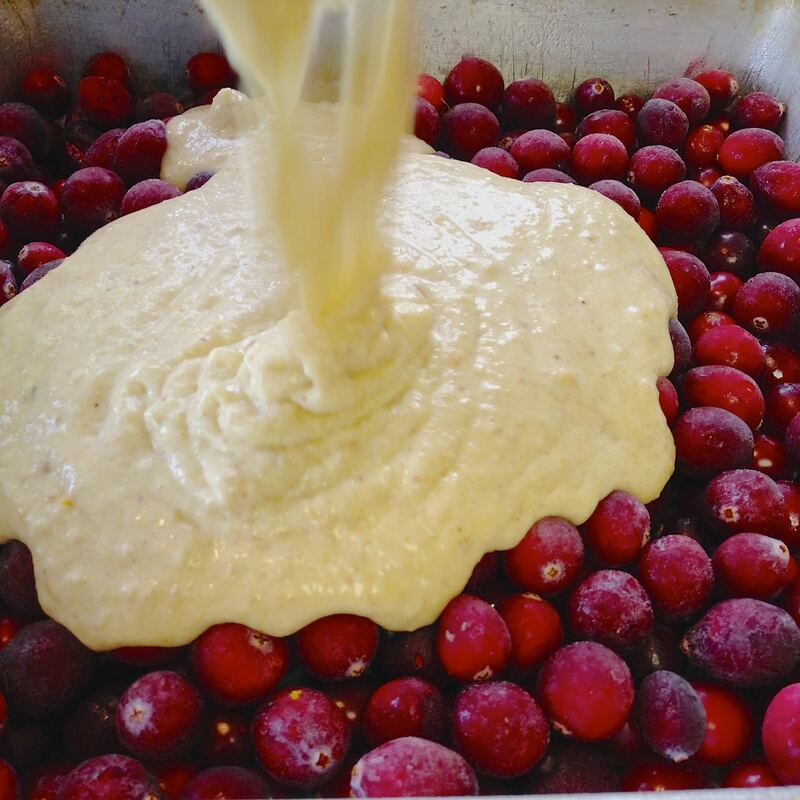 Pour the batter over the cranberries. 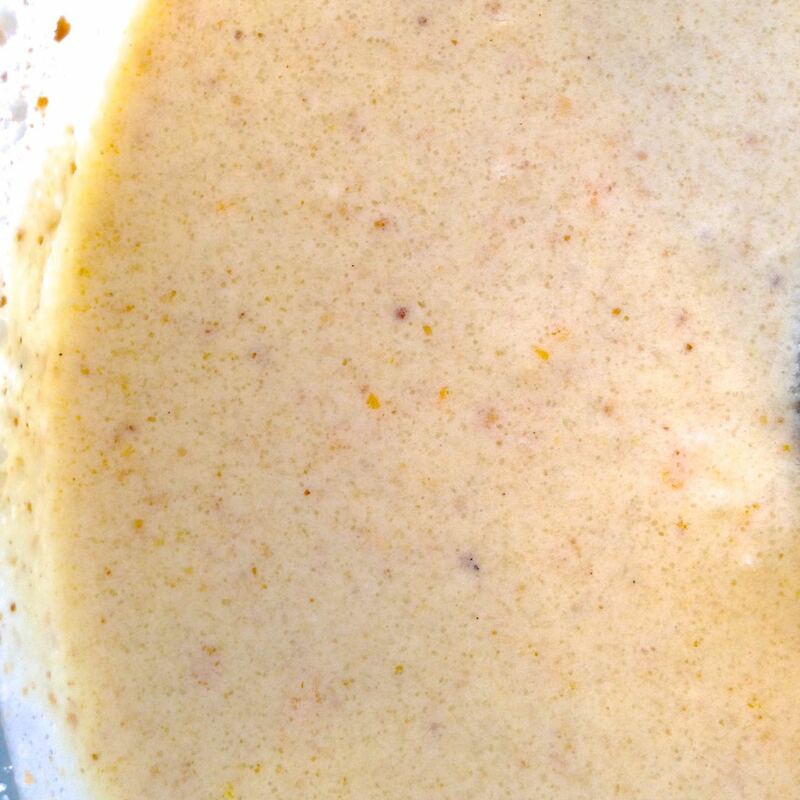 Using the back of a spoon, level the batter over the cranberries. 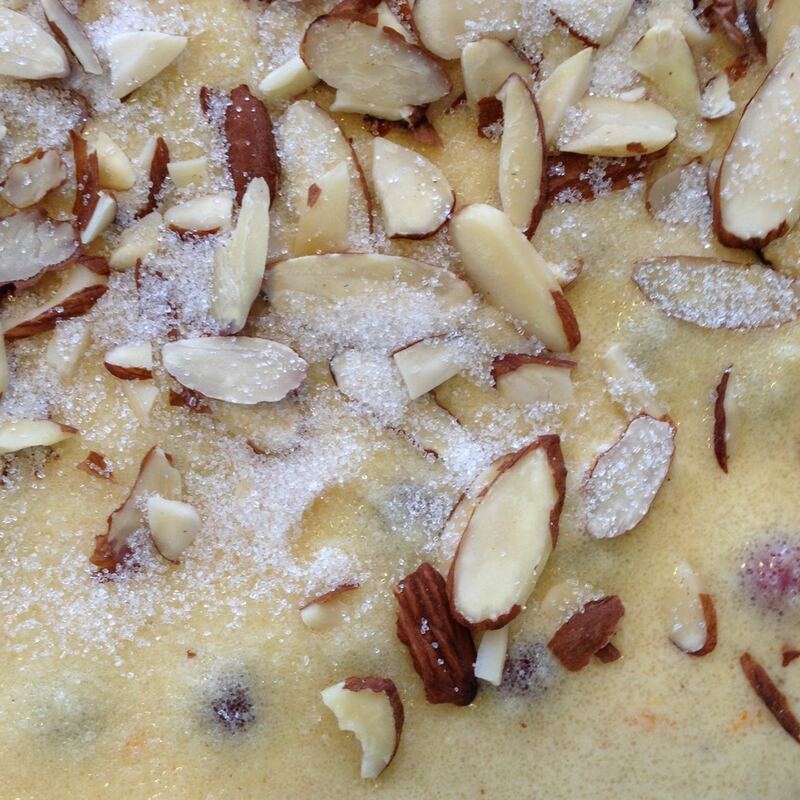 Sprinkle with the sliced almonds, and then dust with the 2 tablespoons of sugar. 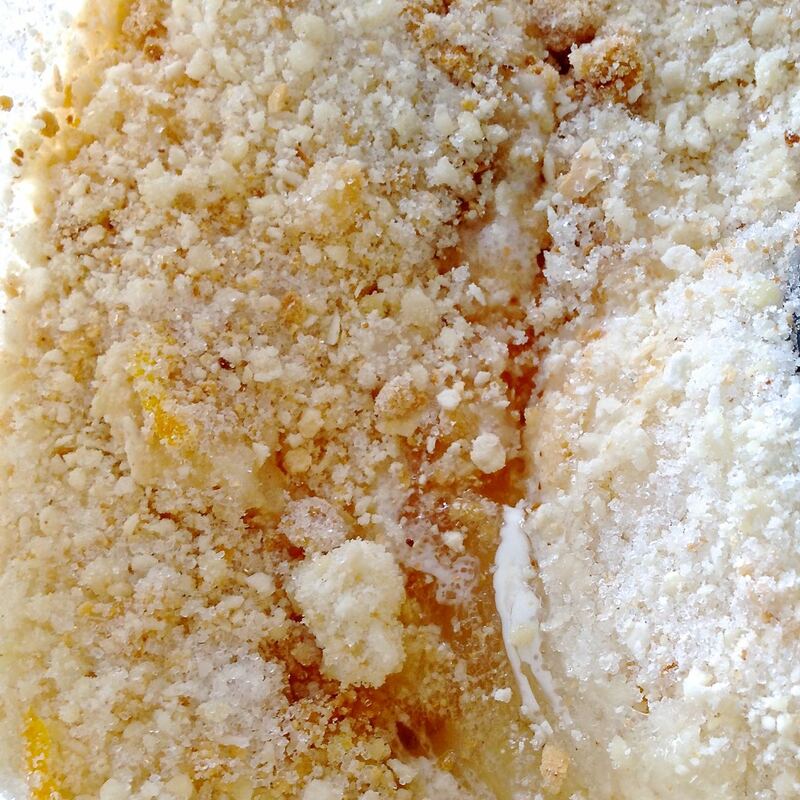 Let the gratin rest while you preheat the oven to 400°. 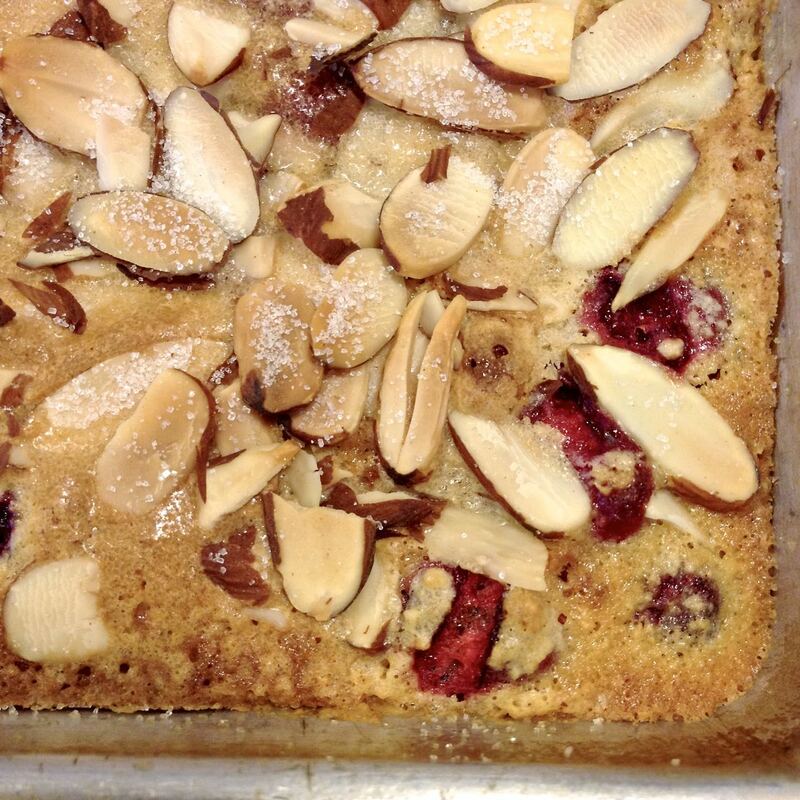 Some of the berries will have worked their way up through the batter by this point, studding the top with red. Put the gratin in the center of the oven and bake for 40 minutes. Let cool to room temperature, or just a bit warmer, before serving. 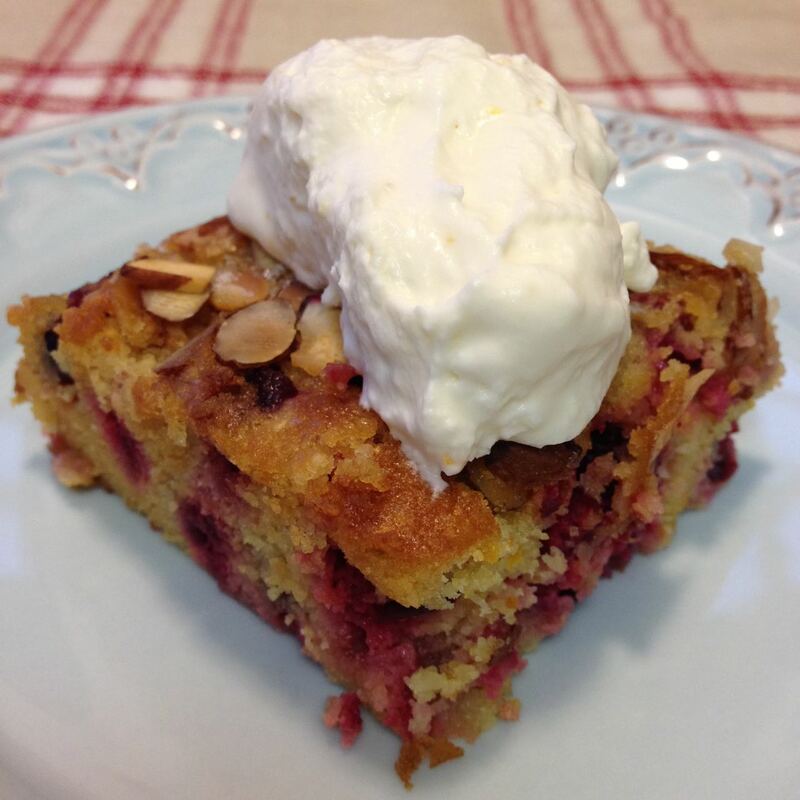 Good with a dollop of whipped cream, a drizzle of cream, or a scoop of ice cream. I love this blog, thank you so much for sharing your recipes. I made the tiramisu on Wednesday and served it at a luncheon today. It was excellent, can’t wait to try other recipes. Thanks so much for trying the recipe! It is the sharing that makes this all worthwhile. Enjoy!